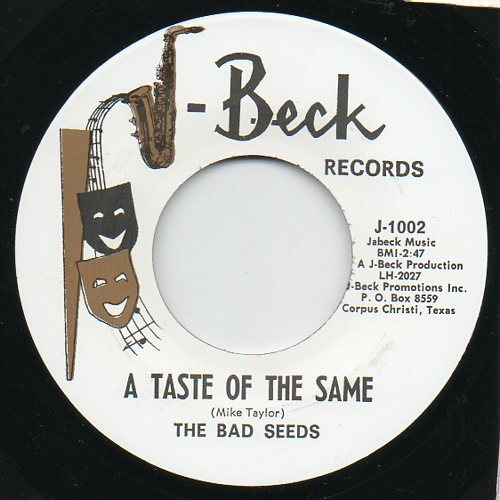 He's some great footage of 60s Texas garage outfit The Bad Seeds playing Taste Of The Same. The mood and atmosphere of this tune is electric, sweet guitar sounds and melancholic harmonies, a rare classic of the finest vintage. We Dig This! Jonny Magus.